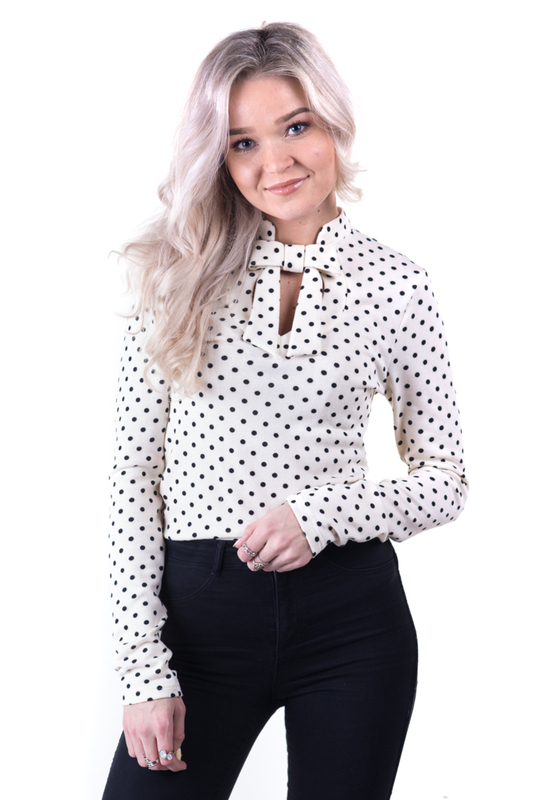 Dollable creamy polka dot shirt. Very soft and comfy material. <br>Material: CO + VI + EA <br>Washing machine. <br>Model is wearing size XS. <br>Product is made in Estonia.